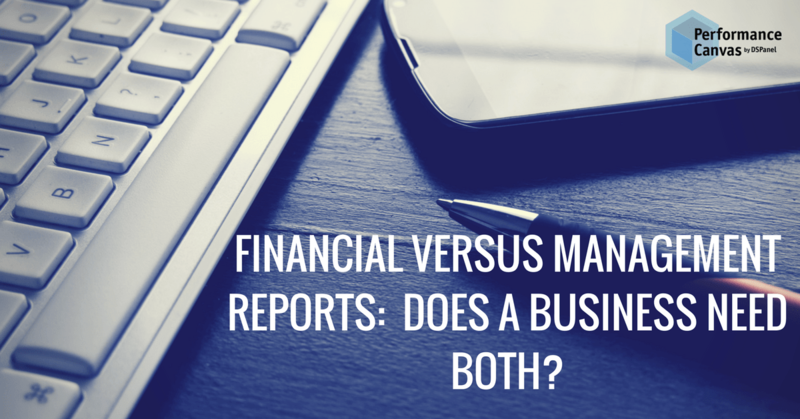 Financial versus Management Reports: Does a Business Need Both? What are my top 5 most profitable products? What are my top 5 least profitable products? What is the effect of a 5% increase in salaries to the cash flow? Will the cash flow allow for a new market expansion? While those above are not the only questions that need answering, having the answers to them can drastically improve your business´ chances of succeeding and there will be no need to guess whether or not your company is financially healthy or which part of the operations need improvement. Financial Reports, for starters, is mandatory. It is done in compliance to regulation and is used externally. By external it could be financial reports to banks, regulators or investors. Being a report done in compliance to existing regulations, it must adhere to GAAP or IFRS. Financial reports usually are done either weekly, monthly or quarterly. Financial reports include Profit and Loss statements, balance sheet, accounts payable, accounts receivable, and cash flow. Financial reporting basically has the goal of showing the company´s overall performance for a specific period this is why financial reports looks backwards at what has happened and how the company fared. Management reports involve operational and financial information that is presented only to internal management to be utilized to make important decisions in the company. This means that management reports are usually used by CEOs, business owners, and the management team. Management reporting while not mandatory is usually done monthly as it will help businesses identify bottlenecks and areas for improvements. Unlike financial reporting, there are no standard rules and methods in management reporting. The objective of this discipline is to classify key performance indicators or functional measures that will provide the business a comprehensive picture of how the company is doing operationally. The suitable measures will differ according to the type of business and industry although they should explain the financial performance. Since there are no set rules involve in measures or ratio to apply in management reporting, management reports can be produced however the maker or consumer of the reports want it to be. Read Also: Is Your Business Ready For More Economic Slowdown this Year? These management reports are useful in predicting where the business is heading, how it will grow and how it will profit. True enough, producing these financial and management reports have always been traditionally time consuming which is why many organizations choose to do as little reporting as necessary as it cost them time and resources. That said, if the reports take so long to complete, chances are they become irrelevant to the current business situation by the time there is an output. However, both financial reports and management reports are crucial. First, because financial reports is your way to appease regulators, banks, investors, and business owners. Second, without management reports, the business could be missing out a lot on emerging trends, arising opportunities or potential profitability. Third, using both financial and management reports, the business can look backwards at how it performed in order to pick up valuable business lessons and the business can look forward at what´s to come in order to better prepare and steer the company competitively. In order to solve the problem of both financial reports and management reports taking so much time and energy out of the finance department, specialized reporting and budgeting software like Performance Canvas by DSPanel can help. Performance Canvas by DSPanel has a drag and drop report wizard which makes creating reports from scratch effortless. On top of that, there are ready to use and easily modifiable report templates available. Performance Canvas by DSPanel also adheres to IFRS and GAAP to make sure that your reports are in strict compliance with the existing regulations. To know more about its reporting capabilities or its budgeting capabilities, visit www.performancecanvas.com or email info@dspanel.com to book a demo.